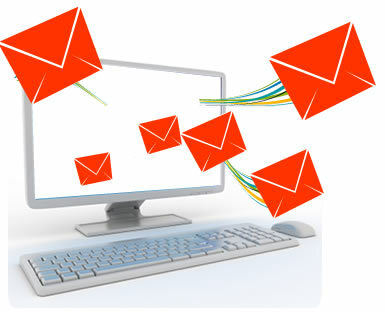 There are many benefits for small business and website owners who use email to connect with their customers. By getting to know your subscribers and building good relationships, you can create a successful email marketing campaign to take your business to the next level. ​First off you'll need an email list. How you collect this will depend on your business but here are some ideas: add an email sign up button to your website, collect business cards from customers, add in past and every new customers’ details to your email system or use your Facebook page to generate newsletter signups. Another option: Give something away or offer a one-time discount in exchange for signing up. Your list can be stored and organized through an email programme. We like MailChimp as it offers a free level perfect for small businesses. There are many different ways to communicate your message to customers, from product announcements to sales to event invites to newsletters. Be clear about why you're sending the email and choose the format that best matches your intention. For any email, it's important to make it mobile-friendly as customers may choose to look at it on their mobile device. Use attention-grabbing images and copy to capture mobile users' interest. We prefer simple, easy to read layouts, generous amounts of white space and putting your most important news at the start of the newsletter. The first few lines of your email newsletter should grab your customers' interest. Unless you have a very well known brand the “from" line of your email should include the name of a real person. It's also important to keep the subject line short. While subject lines with seven words are the most frequent, it’s a case of the shorter the better. Studies have indicated that three-word subject lines have the greatest engagement. Personalization by using the recipient’s first name in the subject line is more likely to be opened. Reward customers for opening your message by quickly getting to the point. Make your emails easy to skim. ​ Use the language that will be familiar to your customers and talk like a friend. Ask about your customers' challenges and get to know them before trying to sell your product. In other words, don't try to pitch marriage on the first date. If you choose to close your email with a clear Call to Action (CTA) be specific and give your customers one compelling reason to click on your link or button. Your CTA should focus on the action you want readers to take and the value they'll receive. Feel free to repeat your CTA multiple times throughout your email. Some customers may want to click on your link at the beginning of your email and others at the end. Make it convenient to click on your CTA. How often should you send emails? It all varies depending on your business and what you are aiming to achieve. What's most important is to set clear expectations with customers about how often they will receive emails by signing up. Then it's important to be consistent about delivering what you promise. It's also important to be clear about what customers will receive. Will they get discounts, sneak previews, helpful information or other relevant data? How will they benefit from subscribing to your emails? Creating clear value is the best way to keep customers from clicking unsubscribe.